Asset Alliance’s flexible approach to contract hire, excellent customer service and quick delivery times have been hailed by Scottish haulier Woody’s Express, following delivery of three new DAF 6×2 tractor units and five new Montracon tri-axle trailers on a three-year, full-service agreement. 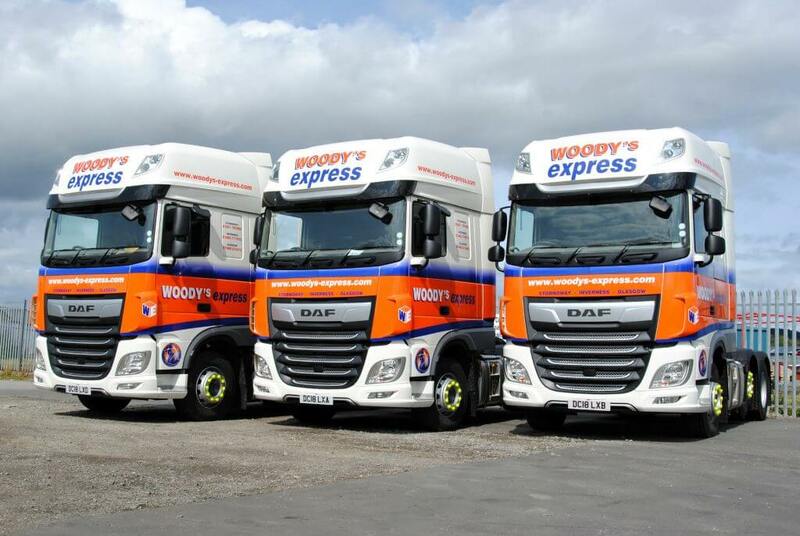 Established in 1986, Woody’s Express runs a fleet of six tractor units and six trailers, plus 32 smaller vans on last mile operations. Its network of strategically placed depots enables the company to offer competitive prices for deliveries to and from the Scottish Highlands and islands, as well as delivering to the Central Belt of Scotland, and internationally through a network of subcontractors.